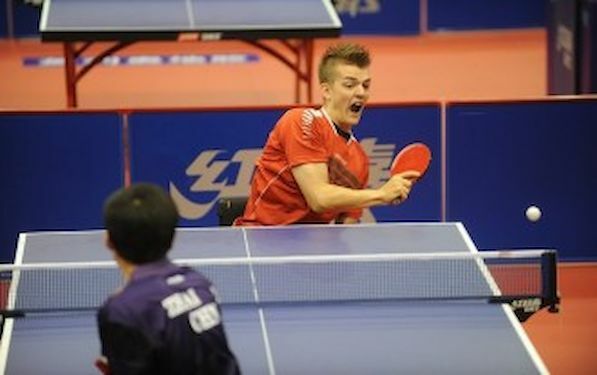 The local Beijing crowd had much to cheer for today as hosts China took home six gold medals during the team finals of the 2014 ITTF Para World Table Tennis Championships. Germany’s Thomas SCHMIDBERGER was in similar high spirits after his team defeated a Chinese squad that included world number one FENG Panfeng in their ranks. “It is difficult against the Chinese players,” said SCHMIDBERGER after his team’s 3-2 win. “But everything is possible. We had to play our best table tennis to beat them and take the title today. It was really brilliant to have a German crowd here supporting us in Beijing with the German flag, celebrating when we are making good points,” added SCHMIDBERGER, referring to a vocal group of German supporters living in Beijing, who were present to cheer their team on. In other results, Spain defeated Ukraine 3-2 to become Class 6-7 men’s team champions, Serbia beat 3-0 Chinese Taipei in the Class 4 women’s team final, and Japan took home gold in the Class 11 women’s event after their 3-1 victory over Poland.